You’re thinking that one of these things is not like the other. The first is debatably delightful—give or take your feelings about the magical alignment of nutmeg, cinnamon, and clove. The second, Halloween décor, is arguably enjoyable as well—a little scary to kids, maybe, though in a fun way. But fraud? Fraud is scary. What keeps your financial institutions’ staff up at night—what puts a chill in their hearts and fills them with dread? It isn’t their neighbors’ placement of plastic spiders, Styrofoam skeletons, and scarecrows with (unfortunately un-spiced) pumpkin heads. It’s fraud. As we move into the holiday season, fraud increases significantly. By some estimates, 40 percent of online fraud alone occurs during October, November, and December. Simply put, when commerce spikes, so does fraud. Think about the big breaches of recent memory: Equifax, Sonic Drive-In, Wendy’s, and Wal-Mart come to mind. But there are other data breaches you may not have heard about—from Gmail and DocuSign to Brooks Brothers and Hyatt Hotels. And while not all of the dozens of data breaches we’ve seen so far this year will result in a significant bump in fraudulent transactions, the ones that do are making life hard for FIs. Not only do FIs end up eating a fair share of these stolen funds, but seasonal spikes in fraud—as well as other big breaches—generate a lot of work for both their customer-facing and back-office employees. Taking and responding to disputed transactions, for example, requires a big chunk of time, especially when the FI handles these disputes manually—as many still do. And it kicks into gear right when fraud response teams and other key employees are hoping for time off over the holidays! 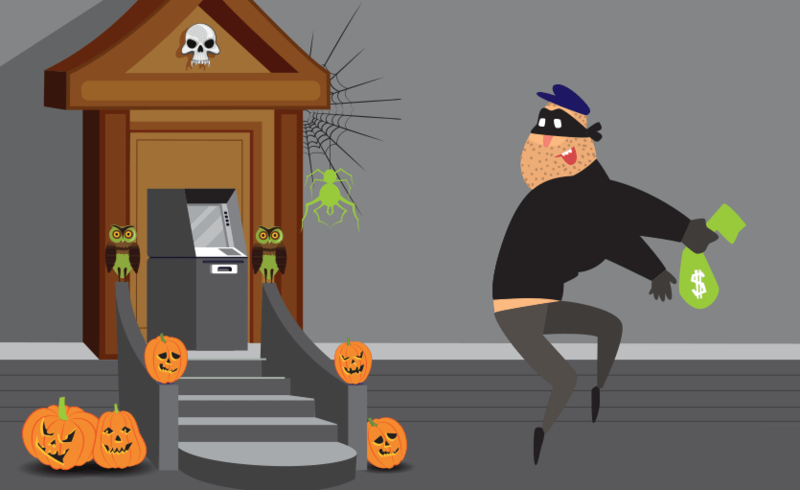 There are, of course, automated ways to handle disputed transactions; but some FIs continue to hold out—much like the lone wolf in our office that refuses the sweet seasonal call of the pumpkin spice latté. It’s reminiscent of the neighbor who puts an unguarded candy bowl on their porch on Halloween, hoping the contents last past sunset: hoping for the best, but not taking the steps to ensure their assets and strategy are in-line with some hard truths. This is what keeps us up at night: FIs struggling with workloads and neglecting to adopt the best technology and strategies to protect and empower themselves and their account holders. No matter the season, fraud is downright scary.